Sutton was an agricultural town in the eighteenth century, and almost all the farms were engaged in mixed husbandry - growing crops and raising livestock on the same farm. To keep animals over winter required a good stock of hay, so most farms included good meadow land - John Williams who farmed 108 acres at Grove End had 22 acres of meadow, while on Mary Swift’s thirteen-acre farm at Walmley Ash there was a two-acre meadow. There were probably over a thousand acres of hay meadow in Sutton in 1800. Seven hundred years earlier hay-making was hardly practiced at all - the Domesday Book of 1086 records only ten acres of meadow in Sutton. Many animals were slaughtered at the onset of winter, the rest surviving on what little grazing was left - in hard winters boughs of holly were cut to be fed to the oxen. The meadow mentioned in Domesday may have been “Erlesmede” or the Lords Meadow, and the hay reserved for horses, as described in an account of 1433: “And for 24 cartloads of hay brought forward from the previous year, and 23 cartloads produced by the meadows this year - total 47. Of which 20 cartloads were used for the lord's horses in the hunting season and 3 were the customary annual livery of the Chase Rider; and 24 cartloads remain in the grange”. The Lords Meadow produced seven wagonloads of hay for the use of the Lord of the Manor in 1480, the remainder, probably fifteen wagonloads, was sold for twenty-two shillings, while the lord’s agent (called the Warden in the account) paid out twenty pence for “mowing and making hay by order of the said chase rider”. By 1500 meadows were much more extensive, managed in common so that farmers were entitled to a “dole” or share of the hay harvest rather than owning a particular piece of land. 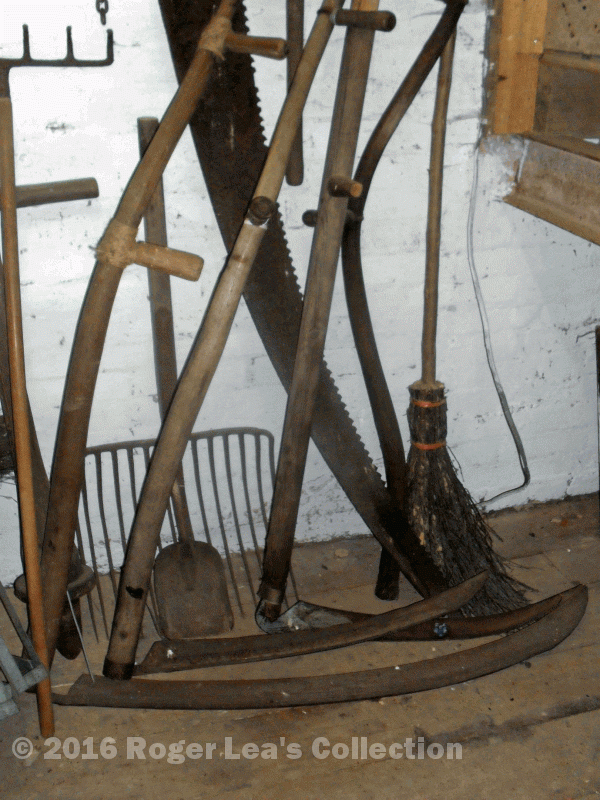 Haymakers used long-handled scythes to cut the grass close to the ground. Teams of men moved down the meadow in lines, each expected to mow about an acre a day. Women and children followed to turn the hay behind them to ensure it dried evenly. Finally the hay was gathered into large stacks. Haymaking was still a communal activity after the meadows had been turned into individual fields. Sutton schools still closed in the 1870s at haymaking time so that the children could help with the harvest (as described by Laurie Lee in “Cider with Rosie”). Haystacks were a common sight in the countryside, and if not properly constructed could catch fire - the newly-formed Sutton Coldfield Volunteer Fire Brigade dealt with several burning haystacks between 1888 and 1892.